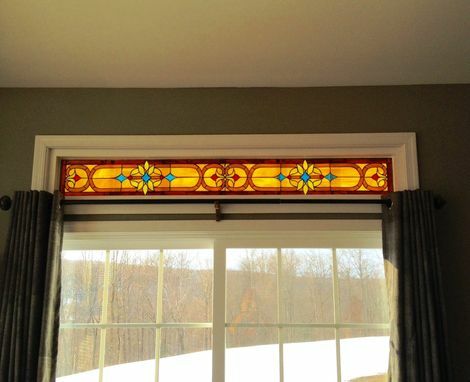 This classic and elegant set of five transoms is already decorating our customers home, as you can see in the photos listed. 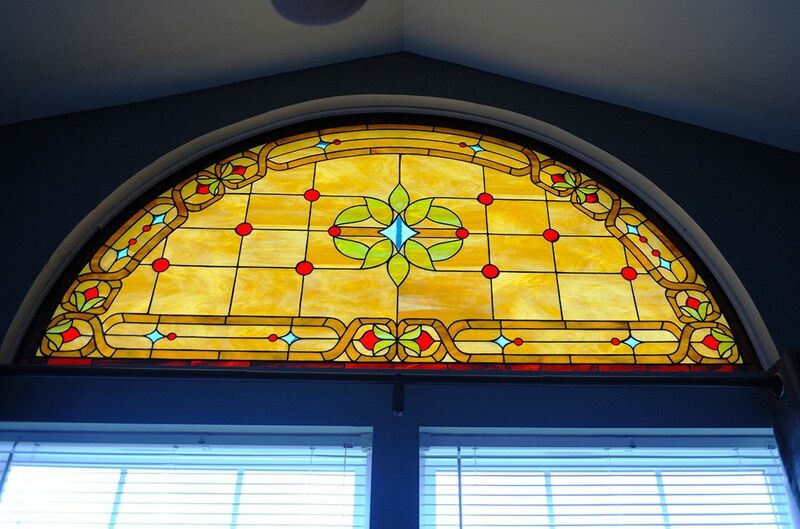 2nd rectangular transom: 31 5/8" w x 7 1/2t (3 pieces in this size). $300 each. Glass used is translucent opal ambers and avocado green. The accents are steel blue and ruby red transparent waterglass. 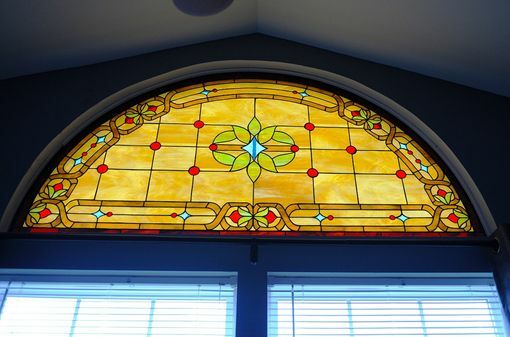 As you can see, creating a stained glass piece is not only about the design but also the glass selection in order to match nicely the colors of the room in which the piece will be placed.